Cruise ship cabins are notorioiusly small, and the bathrooms are smaller still. Typically measuring at just 25-30 square feet, there can be barely enough room to turn around in an oceangoing bathroom, much less a spacious retreat to take care of all your daily bathroom ablutions. There are easy ways you can make the most of even the tiniest bathroom, however, without feeling cramped or crowded. While shipboard bathrooms may be small, they are efficiently designed with adequate features for most travelers. A toilet, sink, mirror, small waste basket, some shelving and counterspace, and a shower with a door or curtain are standard features, and towels, toilet paper, and tissues are supplied. Disclaimer: Just to let you know that if any purchases are made from clicking on the links below we could earn a commission. Most cruise lines also furnish basic shampoo and shower gel in wall-mounted dispensers in the shower. A small, retractable clothesline is often placed in the shower, there may be a magnifying mirror mounted to the wall, and there is usually an outlet available, though it may be mounted awkwardly near the light. The door may also have hooks available for hanging clothes. Take a look at all these travel bathroom accessories for your cruise vacation. Most cruise ship bathrooms, however, do not have independent vents (though a small vent may be connected to the light), bathtubs, dual sinks, multiple outlets, vanity areas, or windows. Some of these features may be part of the more luxurious bathrooms in suites or on luxury cruise lines, but standard bathrooms on mainstream cruise lines are more basic. This does not mean they are inadequate, however, but savvy cruisers know how to take advantage of every inch of space and help even the smallest bathroom meet their needs. There are many easy tricks you can use to make even a tiny bathroom seem more spacious. First, pack light and do not bring extra toiletries you won’t need during your cruise. Opt for travel-sized bottles, and choose products that can be shared, such shampoo or lotion, to reduce the number of bottles you bring. If you bring medication, use small travel bottles and only bring as many pills as you are likely to need during your cruise instead of bringing along full bottles. How you organize your toiletries can make a great difference in bathroom space. An over-the-door shoe or pocket organizer can help you clear off counter and shelf space, or you can choose a small toiletry caddy or bag that is designed to hang from a bathroom hook. Even if you just opt for a simple vanity pouch, you can more easily corral small bottles and other items so they don’t spread out over the counters. Extra hooks can be a lifesaver in a small bathroom, and you can find inexpensive magnetic hooks or suction cup hooks that are perfect to use on a cruise. This can help you hang a shower pouf, loofah, or other items on the mirror or walls, even inside the shower, so the bathroom is less cluttered. You might even consider a basic suction cup soap dish or mini-shelf for extra storage. It is even better if you don’t store all your bathroom accessories in the bathroom itself. Even the smallest, most basic cruise ship cabins generally have a vanity area in the main part of the cabin, outside the bathroom. Use one of the drawers in that area for makeup, perfume, medications, and other items that don’t strictly need to be in the bathroom. Back in the bathroom, it’s important to consider odors and humidity. Because the bathroom is so tiny, it will fill with steam quickly, and because there is only a small vent (and some ships may not have even that), it can be difficult to eliminate unpleasant odors or extra steam after lengthy showers. Bring along a car air freshener to use in the bathroom, or invest in toilet drops or sprays such as Poo-pourri that help eliminate odors. 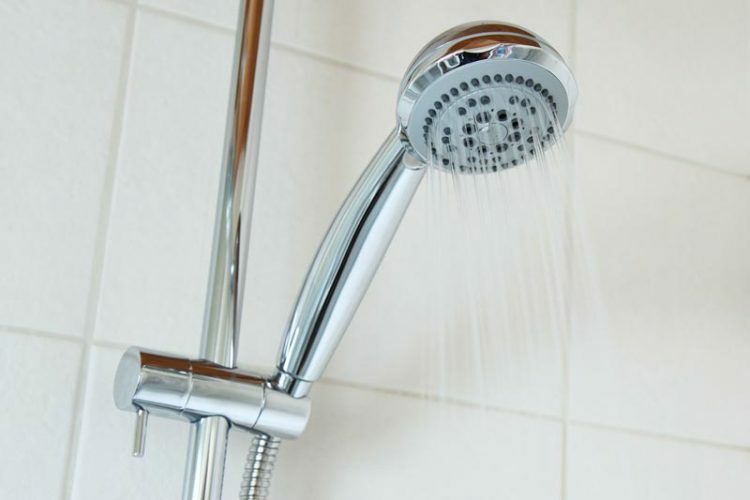 Shortening your showers or using slightly cooler water can minimize extra steam, or you may want to consider showering in the morning or early evening rather than later at night in order to give your room time to clear out and cool off again before sleeping. Check these handy bathroom organizers from Amazon. Because space is at such a premium in the bathroom, it can also be helpful to reuse towels. This will ensure you don’t have to use valuable counter space to store additional towels, help out your already hard-working stateroom steward, and also conserve resources onboard. Most cruise lines encourage towel reuse to help conserve water and energy and minimize the use of detergents and other chemicals, and it’s a simple step that will help save bathroom space as well. Even with all the tips and tricks you may use to maximize your cruise ship bathroom space, you may still find yourself stumbling around, bumping into things, or tripping if you need to visit the bathroom at night. Most bathrooms on cruise ships do not have nightlights, and standard night lights will not always fit in the awkwardly placed bathroom outlet. Bringing along a battery-operated nightlight or even a basic glow stick can give you just enough light in the bathroom to use the facilities without shedding the glare of the overhead light over the entire stateroom. Cruise ships may be getting larger and larger, but the bathrooms in most cruise ship cabins can be surprisingly small. 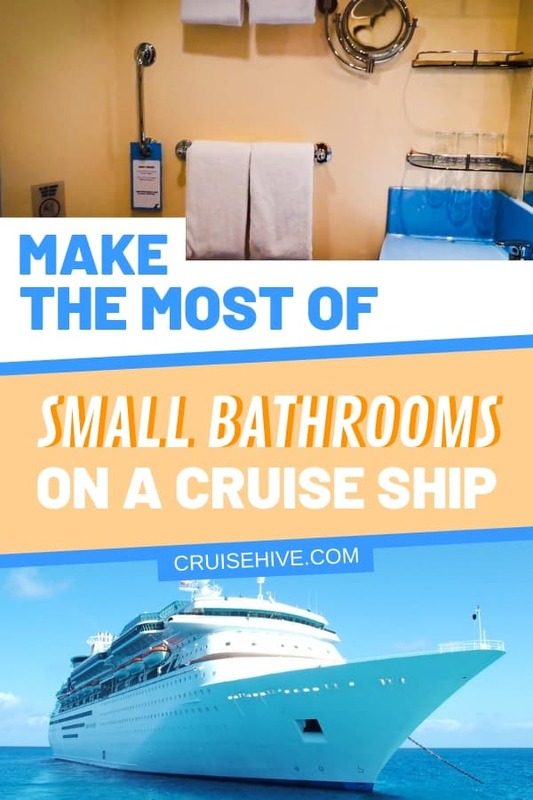 By making the most of each inch of space, however, you can easily attend to all your bathroom needs, and all you’ll remember of your cruise is the big fun you had on board.